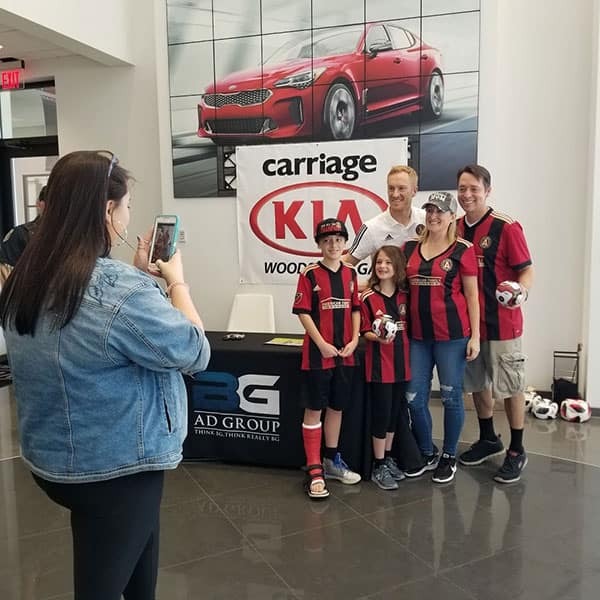 This past Saturday, Carriage KIA of Woodstock hosted an Atlanta United inspired event alongside 104.7 the Fish and 92.9 the Game. 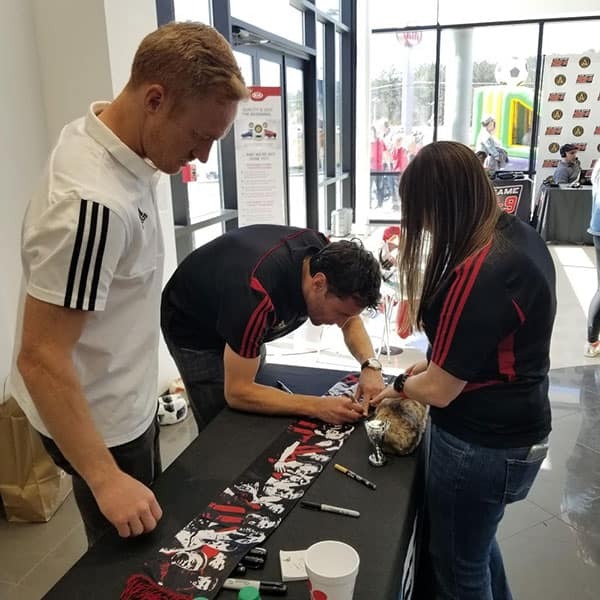 Atlanta United midfielder Jeff Larentowicz and defender Michael Parkhurst were on site with a junior soccer tournament, a bouncy house, other outdoor games, food provided by Yumbii food truck and Chick-Fil-A, as well as raffle prizes and giveaways. The event was filled with family fun, Kias, and lots of soccer! It was a beautiful, soccer filled-day with guests, both young and old, having a good time. 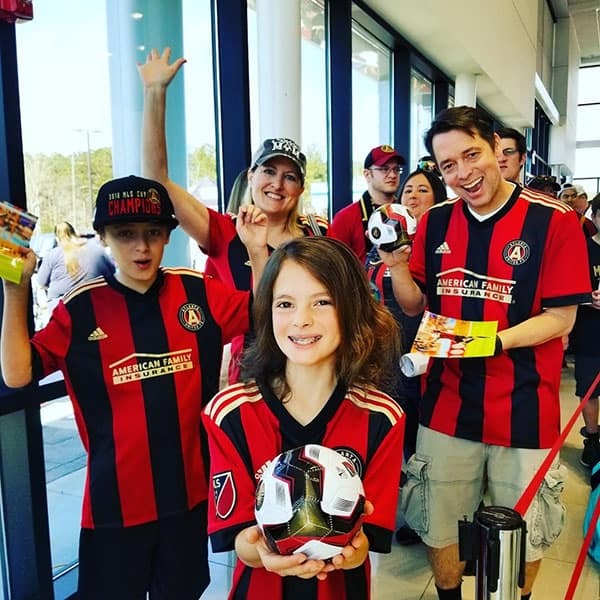 Fans lined up to meet and have their personal Atlanta United gear signed by Jeff Larentowicz and Michael Parkhurst inside. Attendees described the players as extremely friendly and gracious to all of their supporters. 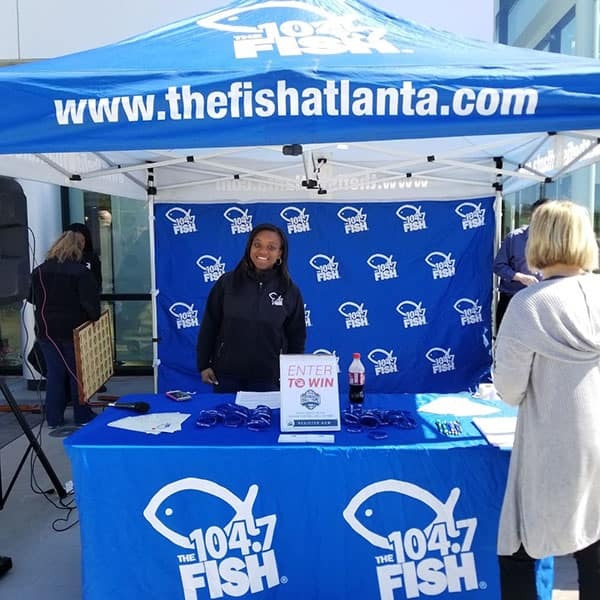 Meanwhile, outside there was plenty of fun activities and entertainment going on, especially with 104.7 The Fish and 92.9 The Game broadcasting live and interacting with all the guests. 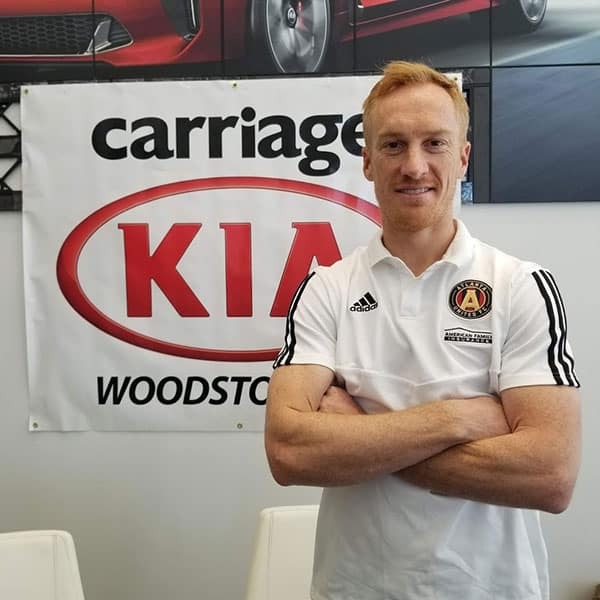 Guests were entered in our raffle by following us on Instagram (@carriagekiaofwoodstock) and liking us on Facebook (@Carriage Kia Of Woodstock), and near the end of the event, three lucky raffle participants won Atlanta United gear, such as an authentic Atlanta United jersey, T-shirt and much more as prizes! 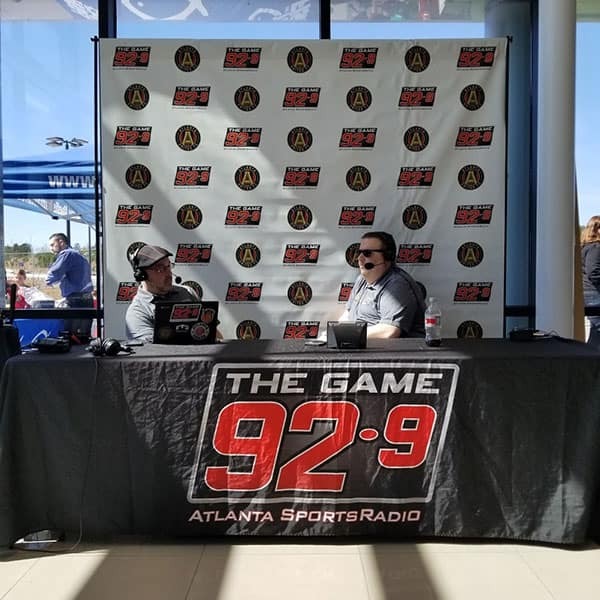 I believe it’s safe to say all the Atlanta United fans within the community in Woodstock undeniably enjoyed themselves at our event. 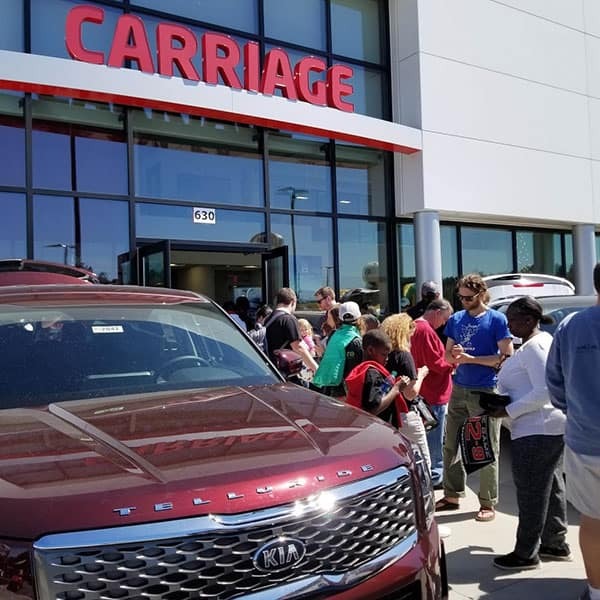 Attendees also were able to check out and sit inside the new 2020 Kia Telluride which was parked out front near all the event happenings. 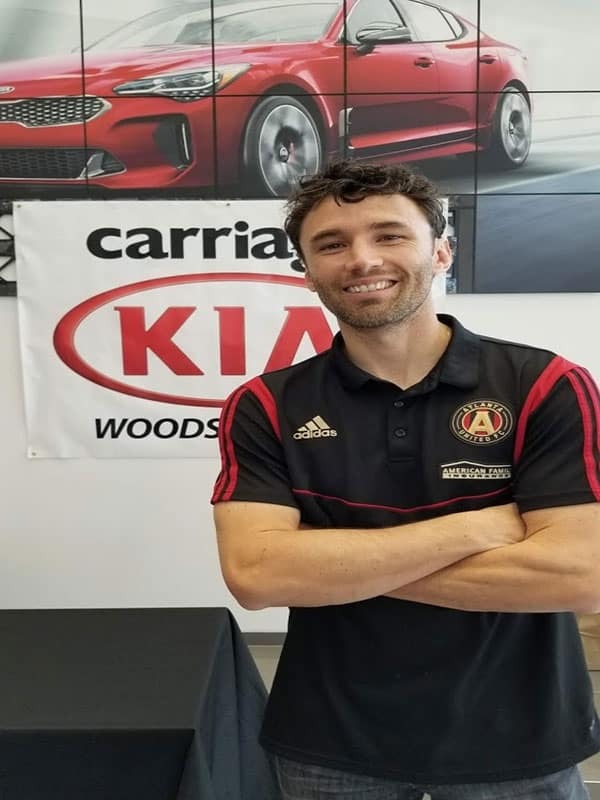 Most importantly, Carriage Kia of Woodstock gratefully thanks and appreciates all the guests who attended, as well as 104.7 the fish, 92.9 the game and Michael Parkhurst and Jeff Larentowicz for coming and making the event such a memorable and enjoyable turn out! 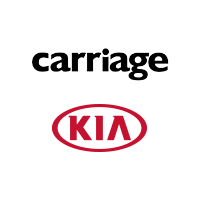 Check out below for some of our favorite snaps from the event and keep an eye on your family Carriage KIA of Woodstock’s Instagram and Facebook accounts for upcoming events!